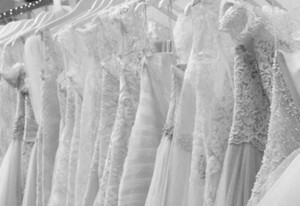 If you fancy the theme of your wedding to be upbeat and fun, then you’ll fall in love with our bridesmaids selection as you search for the right look for your bridesmaids. 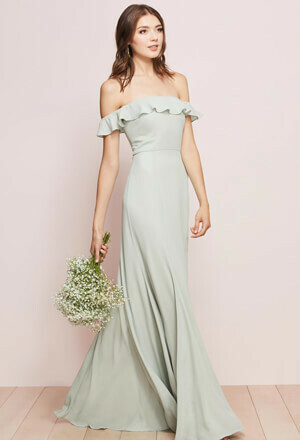 The bridesmaid dresses at Dimitra Designs includes fun and flirty cocktail dresses, created for the joyful celebration of marriage. 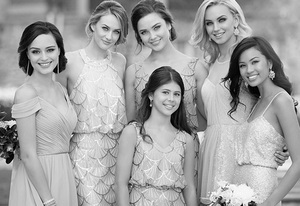 Bridesmaids dresses that are perfect for complementing a beautiful bridal gown. Our bridesmaid collection includes a rainbow of color choices for the bride whose heart is set on a specific palette for the day's decor. 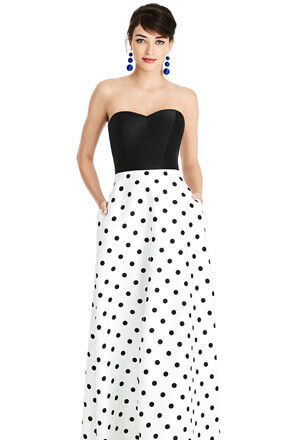 Look for sleek and sophisticated Morilee, Sorella Vita, Bill Levkoff and many more designer bridesmaid dresses in basic black or in striking jewel tones for an evening event. Consider lacy bridesmaid’s designs with full cocktail length skirts, perfect for a lighthearted look during a morning or mid-afternoon event. Sassy sashes and dramatic color contrasts provide your bridal party with a contemporary look. Consider dreamy chiffon dresses for a romantic look, or opt for satin to create a more regal effect. You'll love embellishments like satin roses and pleated bodices for eye-catching appeal.